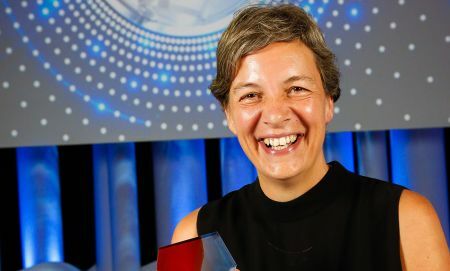 From wowing crowds in her role as 2018 Australian of the Year to controlling the spin of electrons in a single atom, quantum physicist Michelle Simmons is achieving huge (and incredibly tiny) things. Professor Michelle Simmons wakes up every morning before the crack of dawn. She leads a team of nearly 200 researchers across seven universities in the race to develop an atomic-scale computer. 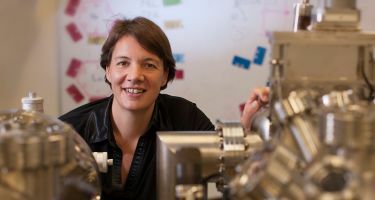 She’s also editor-in-chief of Nature Partner Journal Quantum Information, founder and board member of Silicon Quantum Computing and has a solid schedule of responsibilities as 2018 Australian of the Year. 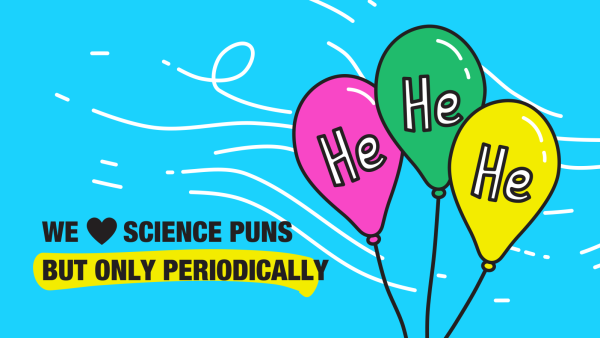 When you hear of all Michelle achieves in her week, it’s tempting to assume that, along with creating a new field of atomic electronics, she’s also uncovered some sort of quantum time warp that gives her more than 24 hours in a day. But then, Michelle’s just not into ‘easy’. Today described as one of the best physicists in the world, Michelle actually gave up studying physics in high school. She’d been advised to study what she loved. But sometimes the things we inherently love aren’t the things that bring us the greatest satisfaction. Michelle enjoyed studying history and English literature, but she just couldn’t forget the jaw-grinding brain-bending satisfaction of physics. She craved the challenge of solving difficult problems. 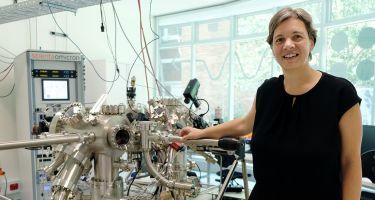 Michelle re-enrolled in physics, went on to study a double degree in physics and chemistry at Durham University, then completed her PhD in 1992. As a physics postdoc, Michelle studied at the Cavendish in Cambridge, getting her first taste of quantum electronics. From that moment, she was hooked. “Deep down, I’ve always wanted to understand how the world around me works,” she says. Today, Michelle is the director of the ARC Centre of Excellence for Quantum Computation and Communication Technology, based at UNSW. Michelle and her team are building a new generation of computer, atom by atom. 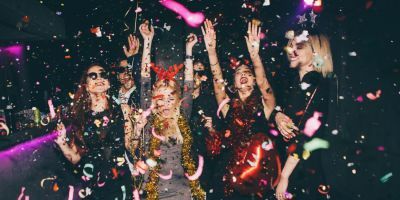 They’ve invented a conducting wire that’s only four atoms wide, a transistor that’s made from a single phosphorus atom, and they’re using the spin of an electron to encode information. 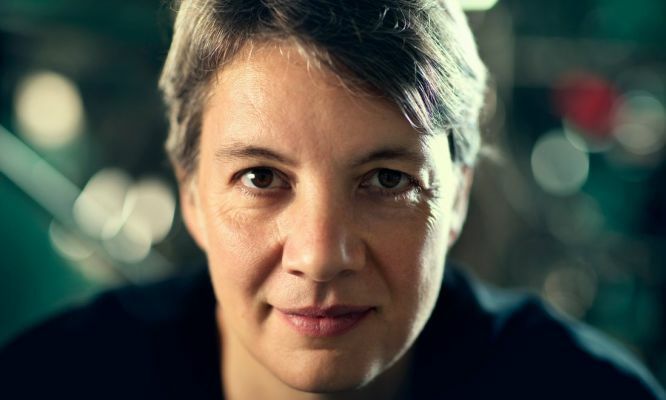 Michelle Simmons leads a team in the race for a quantum computer. She is pushing the boundaries of atomic electronics. At this teeny-tiny scale, high school laws of classical physics just don’t cut it. Instead, atoms sometimes act like waves, sometimes like particles. Quantum-level interactions take over, which promises a whole new way of computing. Where traditional computing uses ‘bits’ that can represent either zero or one, quantum computing uses ‘qubits’, which can be both zero and one. Or neither. Or bits of in-between. It’s this ability to simultaneously hold multiple bits of information that makes quantum computing so exciting. “Computing based on quantum principles will allow us to do certain calculations in real time that might otherwise take thousands of years,” Michelle says. If this makes your brain spin, imagine the challenge of trying to control and create a quantum computer. Lucky Michelle’s still not a fan of ‘easy’. “We are pushing the boundaries of what is known. It’s great!” she says. There’s a legendary story of how 8-year-old Michelle beat her dad at chess in her first-ever game. Hearing that, you may think things have always come easy for her. You’d be wrong. 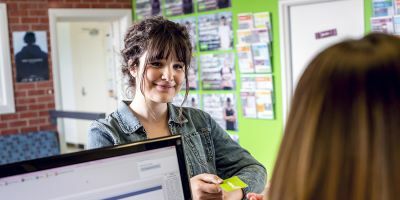 Of the 200+ students in her year at an inner-London comprehensive school, only 16 kids went on to study A-level (university entrance) exams, and Michelle was one of only two to pass. So how does she always manage to bounce back? “It’s essential to work hard, choose the right pathway and keep the end goal in mind,” Michelle says. In silicon quantum computing, Michelle’s favoured pathway, this means pushing forward, qubit by qubit, to a future where today’s supercomputers are eclipsed. Michelle’s team create qubits by placing phosphorus atoms in a bed of silicon. Figuring out how to make one single-atom qubit was super-tricky, two is becoming easier, and Michelle aims to develop a 10-qubit integrated circuit by 2022 and 100-qubits after that. Does she ever doubt it can be done? But when the doubts get overwhelming, it’s time for bed. “Doubts creep in when I get overtired, and I generally find a good sleep helps,” Michelle says. From here, the path to a future where Australia and the world can benefit from commercially available quantum computing is a complex and challenging one. Yet Michelle’s confident she’s moving in the right direction. “I have a clear vision of the way ahead, what needs to be done and how to get there,” she says. There’s not many young business entrepreneurs who have achieved what Kamilaroi man Dean Foley has in such a short time. Can a 7-minute survey improve your life?